EXTENDED WITH NO VENDOR CHAIN! HOME ESTATE AGENTS are delighted to bring to the market this much improved three bedroom semi-detached property located on the cul-de-sac of Sheldon Close in Partington. Our vendors have modernised the property throughout with modern decor and presentation allowing you to move in with ease. 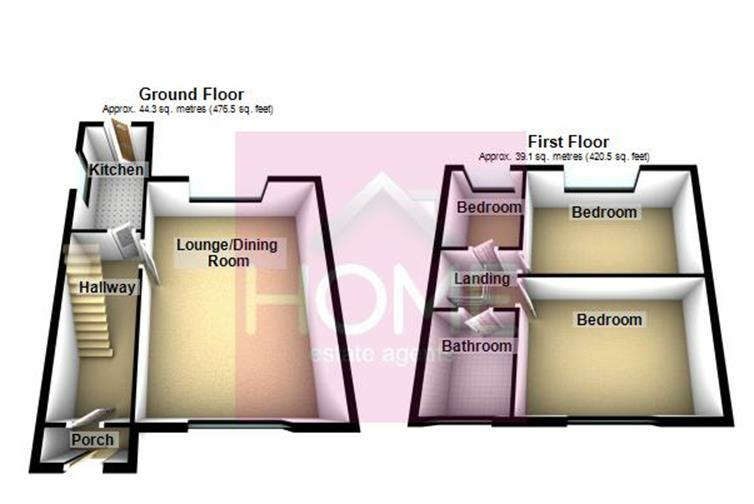 The location is close to all local amenities including the recently built shopping centre. Already extended there is further scope to additionaly extend the property subject to planning permission. The accommodation comprises of Porch, entrance hallway, lounge with through dining room and extended kitchen. To the upstairs are three good sized bedrooms and a fitted three piece bathroom. The property is warmed by gas central heating and double glazed. To the outside front is a very generous mostly lawned garden leading to a further side garden. To the rear is a driveway leading to a detached garage. To book your viewing call HOME on 01617471177. To the outside front is a very generous mostly lawned garden leading to a further side garden. To the rear is a driveway leading to a detached garage. To book your viewing call HOME on 01617471177.